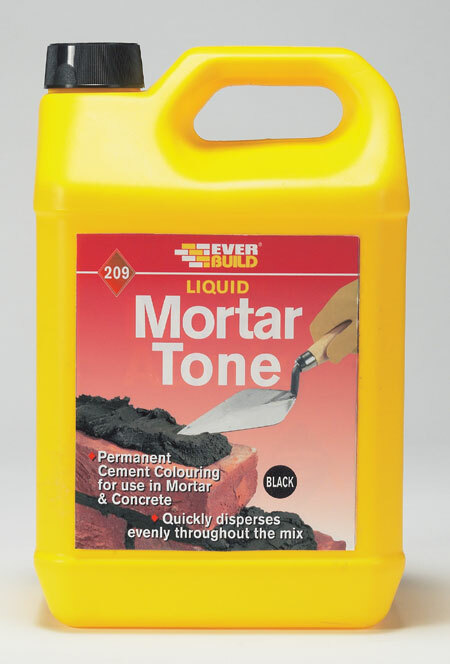 Everbuild - Liquid Mortar Tone is formulated to provide a permanent colour to all types of mortars, rendering, concrete and pointing. 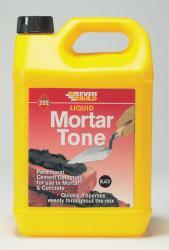 The liquid disperses evenly throughout the mix to give uniform shade for each mix batch. Shading can be adjusted to provide a wide variety of colour depths.